If you’re here looking, you have probably experienced a long day on a motorcycle and are familiar with the need for something to act as a cruise control to give your right hand a break. 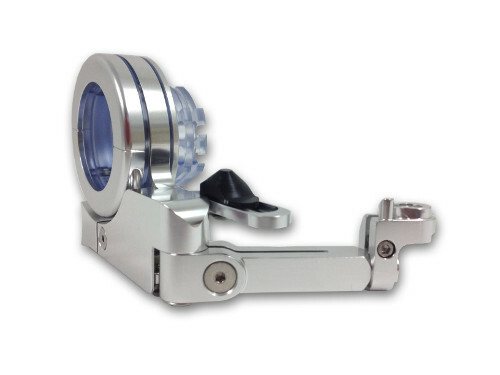 Maybe you have looked at the current abundant throttle lock options or have had experience using them in the past. Maybe you have considered taking on the expense and time to do a full-blown electronic cruise control installation. The BrakeAway design offers an option that bridges the gap between other throttle lock devices and electronic cruise control while offering the best features of both. Achieve your desired cruising speed/RPM, push the engage button and you will hear and feel a positive click as the unit engages. Now you can relieve the pressure from your right hand and your bike just keeps cruising. It’s a great feeling on a long day in the saddle. There’s no fumbling around with your index finger, flipping a cumbersome lever with your thumb or twisting a knob on the end of your handlebar. 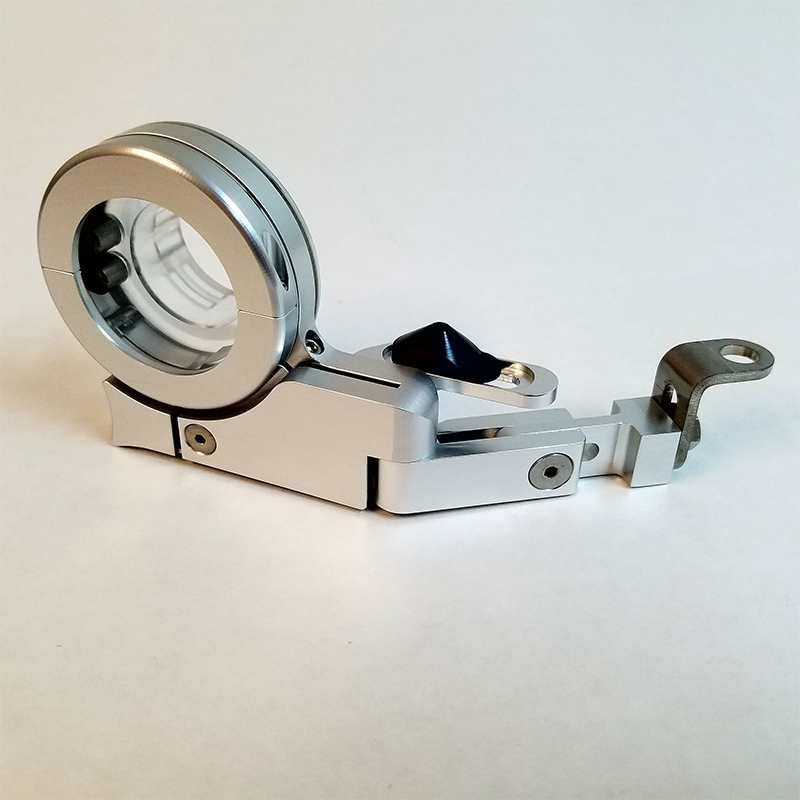 The manual release is just as simple and quick, push the release lever on the front of the unit and it instantly clicks off to return you to full throttle function. With the unit engaged, you can adjust your throttle position up or down manually as needed. 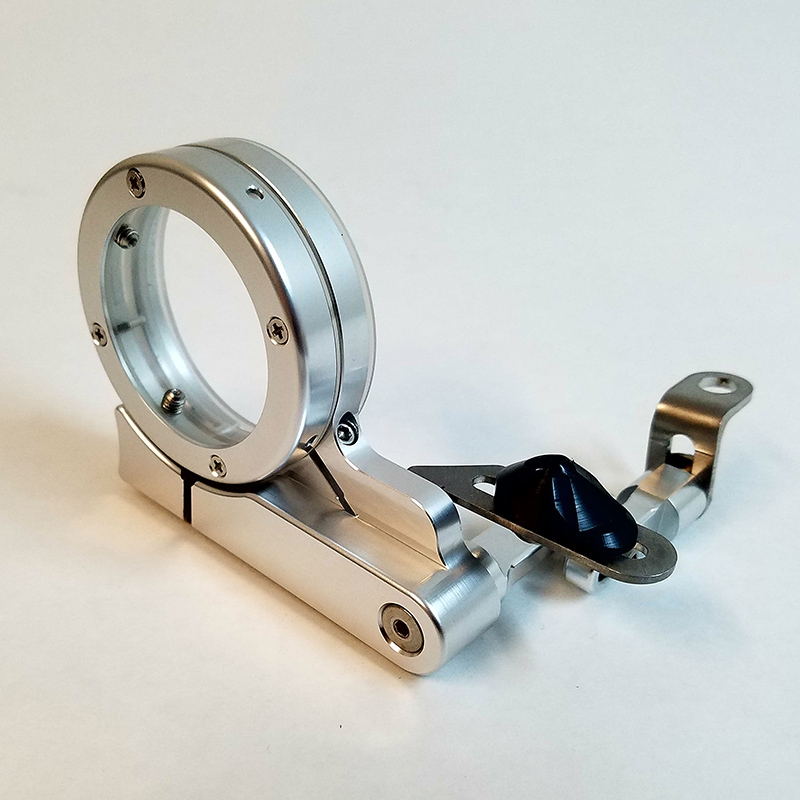 Unlike most throttle locks, we use an internal friction ring that doesn’t depend on parts of your bike to apply friction to your throttle. 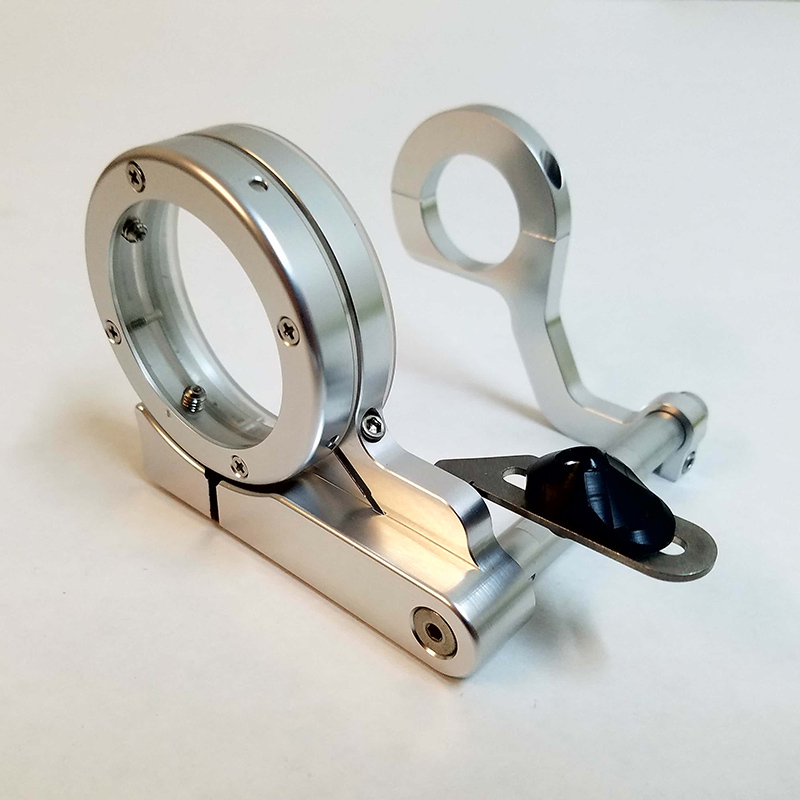 This allows us to control the materials and precision of the clamp and slip ring assembly resulting in smooth, and accurate speed adjustments along with long term dependability. 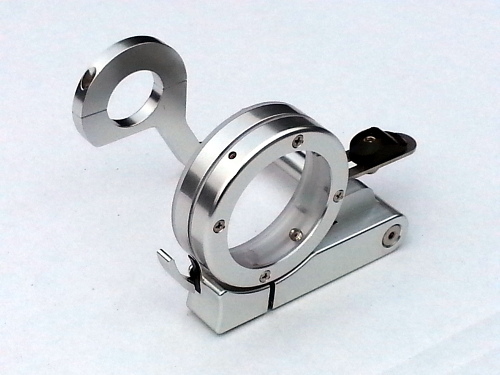 There is also a simple adjustment screw to change the amount of friction being applied to the ring. 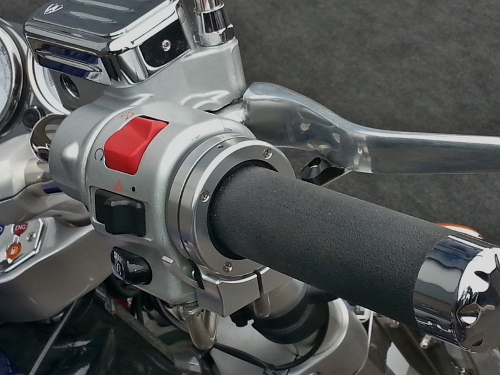 The most important difference from any other throttle lock is our patented mechanical brake release feature. Unexpected situations can happen quickly, and your first natural reaction will usually be to reach for the clutch and brakes. In an emergency, your reflexes and riding skills will take over. The last thing you need at a time like this is to have your throttle revving or not responding normally because you didn’t have time or were too preoccupied to release your throttle lock. With the BrakeAway, just as with any electronic cruise control, your next reaction will automatically include normal throttle function. 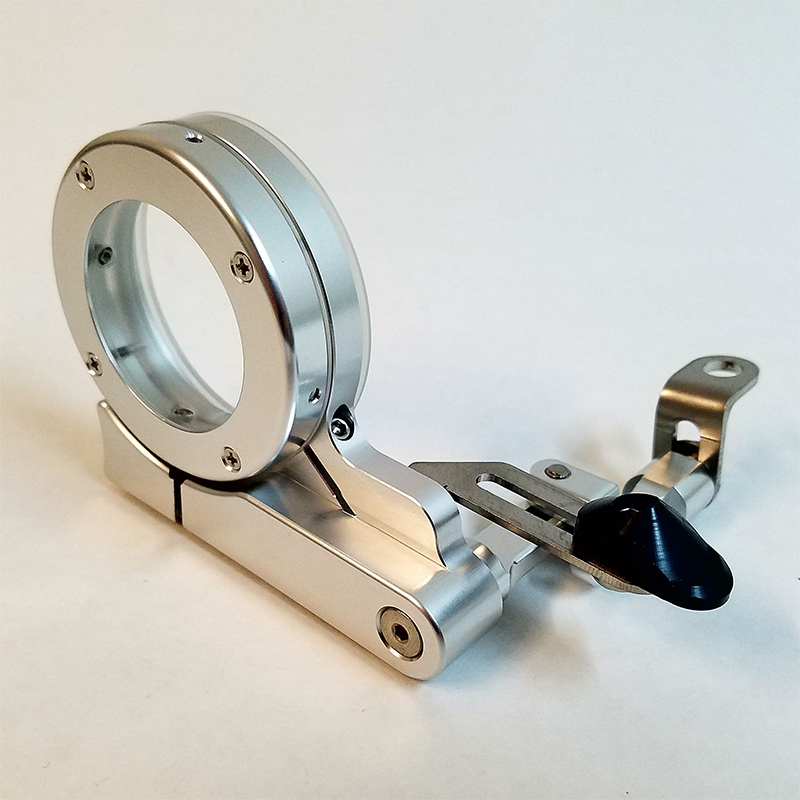 We founded our company on the need for this in 2001 and still strongly believe that this is a must have feature for any devise being used as a cruise control on any vehicle. We are constantly updating and improving our product design based on customer feedback and experience. 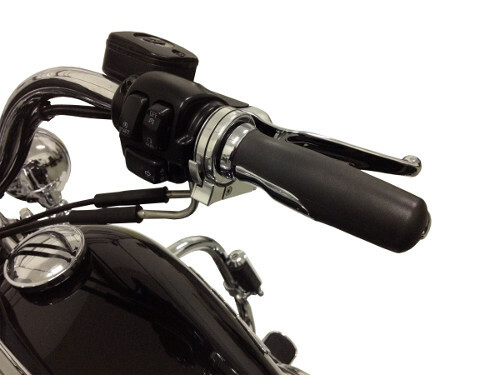 Our goal is to make sure every BrakeAway customer is happy with their choice to purchase the best Mechanical Motorcycle Cruise Control available. Ride Safe, enjoy the journey! Find the right Cruise Control for your Harley Davidson, Honda, Kawasaki, Suzuki, Triumph, Victory, Yamaha, and Indian. Visit our Bike Make and Model selector so you can select the correct cruise control for your motorcycle. Hello Kim, thanks for your help with this it is great to know that your company will do this for a customer, I know that you do care about your products and the customers safety and am so Glad that I purchased your product back 4 years ago I have helped 4 other friends to get theirs installed on there bikes after showing them how great a product it was that you had and everyone of them enjoy having them on there bikes too, had 2 friends that had it on 1 bike got a new Bike and got it for that one also, if you make other products for motorcycles let me know where I can check them out would be more then happy to see any other products that your company makes and markets, not just to be a nice guy but because I do believe in your BrakeAway Product and how well it works and the craftsmanship is very good also, and if I hear of anymore friends that want a cruise unit I will tell them about your product. Just wanted to drop you a note and say how pleased I am with my recent purchase. Very pleasant customer service on the order... easy install and works perfectly! I will definitely recommend your product to my friends. Enclosed is the BrakeAway Model 5CP01 1 just purchased from HondaDirectline. During our phone discussion I learned that your new Model SCP02 would fit my Honda Valkyrie with Kuryakyn grips better and without modification. Your gracious offer to exchange the Model 5CPOi for the new Model 5CP02 is gladly accepted and greatly appreciated!! This is "customer service" at its finest! Your company is going "above and beyond" and is an example for others to emulate. Again. my sincere thanks for your kind consideration and outstanding customer support. Just wanted to let you know I put your break away throttle control on my vtx 1800 this weekend and was pleased with how easy it was, and how good it works. I read some blogs on the internet and was a little worried about it fitting over my ISO grips and getting it set up, but your instructions and the video I watched on cruiser customizing web site made it very easy to install and set up. So thanks for a great looking and great working product. I purchased and installed one of your cruise controls today on my 2811 Suzuki GSX 1250 FA. I just want to tell you what a beautifully made item it is! Perfectly engineered and of the best quality! It works flawlessly. Thanks for a great (American made) product. I could not be more pleased. You may not remember me. I had you install my Brakeaway Cruise Control at the Star Day's Rally in Roanoke Va. I was the last person you installed on the last day of the rally. I had tow friends with me, and you gave us water to drink. I was on the Black Harley Heritage Softail Classic. I just returned from an over seven thousand mile trip in the past month. I rode my bike in every state west of the Mississippi River (22 states) in the month of August. Your product was amazing! I saved my hands from cramping and from being uncomfortable during the trip. I am not sure I could have completed my journey if not for your wonderful cruise control. I've told countless others of your product along the trip (there was 625 others on the trip with me, from all over the US and the world). And others on various web sites I frequent. I know I have sold at least 3 of these for you and quite possibly more! Two to Jim & Cindy Patnode in Wilson KS. And another to a lady near DC, and possibly to a lady in Florida who inquired if it would work with her grips. Should you ever need an EAST coast representative, I volunteer! I have to tell you that this product is wonderful and it was worth every penny spent on it. THANK YOU for taking the time to install it for me and for manufacturing a wonderful invention. Rec'd your unit today. Can't decide whether to frame it or install it. Just wanted to let you know that I recently purchased your Cruise Control unit for my 2003 Honda Shadow Spirit VT!100 motorcycle, and took it for an 800-mile 3-day ride along the Lake Superior and Lake Michigan coastlines of Wisconsin and Michigan. All I've got to say is "Wow!" What an outstanding piece of mechanical engineering that has it all - simplicity, reliability, aesthetics, and function. It's a perfect component that has really helped me enjoy my rides more. I no longer have to pay such close attention to my speed, and it has significantly reduced my hand fatigue on rides longer than 20 miles. 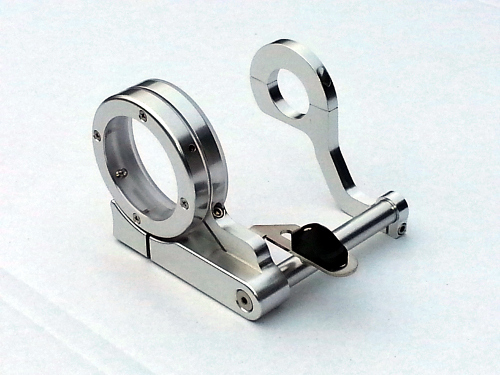 It's so easy to use, and is a discrete and stylish addition to the handlebars. Great job, team. Keep up the great work! First let me say that I initially thought your "Brakeaway Motorcycle Cruise Control" was a bit pricy, but after receiving mine I was very impressed with the Quality and Fit & Finish. It was a tight fit over the new Kuryakyn Iso Grips (that's why I purchased it), however I did get it installed and it looks great, works smoothly and is easy to use. 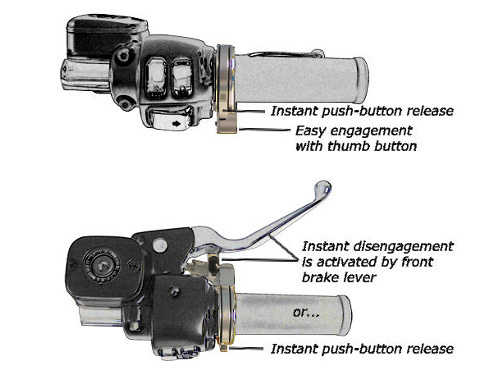 I have already found the "instant push lever disengagement" from the front brake lever to be, a real Safety Factor. I did have a little trouble with the adjustment of the unit, but I just kept repeating the procedure dialed it in. I found your Instructions much better than most to understand and follow, Thanks for the, "plain English" and the many photos, they helped a lot. This was my first time, for installing after market Grips and your product, all in all I'm pretty proud of the out come. I recently ordered, received, then had professionally installed your blacked-out Brake Away cruise control unit. What a pleasure to have it on-board! It fits right in with the blacked-out theme of my bike, it's simple to activate/deactivate, and it's a luxury that's long overdue! I'm very glad I purchased it. I only wish l hadn't waited so long to do so! Recently installed your product on my Roadster Warrior 5 I must say you have a very happy new customer. Before purchasing your product I used the plastic throttle lock for several thousand miles so I do have something to compare your product to. Your product costs 20X as much & is worth every penny of it. Thanks for building such a high quality piece. Excellent, Superior, Wonderful, etc., etc., etc. Easy to install. Well written directions included with product. Installed over factory grips, (which I will leave on for a while) with ease. Cannot imagine another design that would be safer or more effective. Kudos to Breakaway - another great Portland, Oregon company!!! I got my Brakeaway yesterday. Put it on iast night, I had some problems getting it adjusted right but about 2:30 this morning it was working as advertised. Today I left the truck in the driveway and rode the scoot all day. This was the best mod to my Road Star yet. Looks great and works flawlessly. I want to take this opportunity to thank you and compliment you on both the quality of your product and your technical support. Rarely have I been as satisfied with installation instructions or the promptness with which questions have been answered. I hope you are going to be offering more items in the near future. I look forward to recommending your product to friends without hesitation. Thanks for the e-mail about the different size brake levers my Royal Star has the larger brake lever so I had to use the "L" bracket in the box. I received the cruise control today and installed it immediately. The installation was rather easy but it took a few attempts at adjusting the unit before I got it to the point that I felt was the smoothest operation. In my opinion your product is going to do rather well as they say the best advertising is a happy customer and the way I feel I have nothing but good to say about it. I like to express my very satisfaction with your BrakeAway Motorcycle Cruise Control product. It was fairly easy to install, the documentation was to the point and I really appreciated your extra note on how to install them on my ISO grips. The functionality is without any doubt the best I have seen so far and the looks of this neat peace of engineering is AWESOME. I have to tell you, I have had your product installed for only a short period of time and it is a Piece of Sheer Joy. I wanted to drop you a line and let you know how great your product is, its ease of use and simple installation made it a breeze to install and it has let me ride for several more hours at a time by reducing my hand from cramping. In a nutshell. it has made my bike so much more enjoyable on long rides. It was worth every penny! Thank you again. First I would like to say thank you and compliment you for your honesty. When I received your letter and check I was totally surprised that people still do business this way. I saw your product about a year ago and downloaded the demonstration and thought it was a great idea. I do shop online depending on the product, price and risk in purchasing something new. This is just my caution with a lot of things today. When I met and spoke to both of you at Star Days then viewed the product with installation I was totally sold. I used it the whole 640 miles home and continue to use it even if the ride is only 3 miles to my office. I have to right this letter to let you know how I feel. Please feel free to use this testimonial to anyone looking at this product over the web, that it is worth every penny and works like your demonstration shows. Hi! Best product ever! Ok, maybe not better than my iPhone, but for motorcycles; brilliant. Hands dawn the smartest money I've spent on making the FZ a long distance ride. I've used a bar-end style cruise control, but it presents problems. It doesn't auto disengage, and it takes away my bar end mirrors. Gotta have my bar end mirrors. The Brake-away is also easier to engage. Press to lock, press to exit or pull the brake lever. Those plastic jobs... uh- ignore those things. I'm fairly mechanically inclined (rebuilding a Royal Enfield that had the piston shatter) and this was pretty easy. The instructions could use a bit more graphical assistance. Like black arrows pointing to Cam (8) or Technical Term (38) to make it clear what bit you mean, It wasn't too hard to sort out, but I'm lazy. A little fiddling to get it dialed in and the whole process took maybe 30 minutes including swearing while I chased the directions across the lawn and a lot of swearing while I looked for the itty bitty screw I dropped. Seriously, the mechanism is rock solid and brilliantly designed. I'll start telling everyone I know and on the forums I'm on about you guys. I purchased an FJR1300 a few years ago that already had the Brake Away installed. At first I was going to remove it, as I have never been impressed by any throttle lock system, and always felt that the risks were too great to use them, or were so cheaply made that the effort was not worth installing them. I am extremely glad I had a good look at yours before removing it. 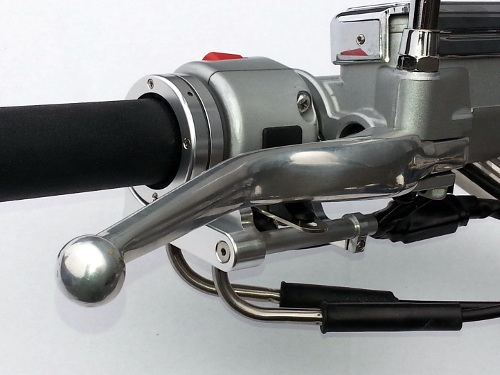 I am extremely impressed by the quality, safety, and ease of use with your throttle lock. 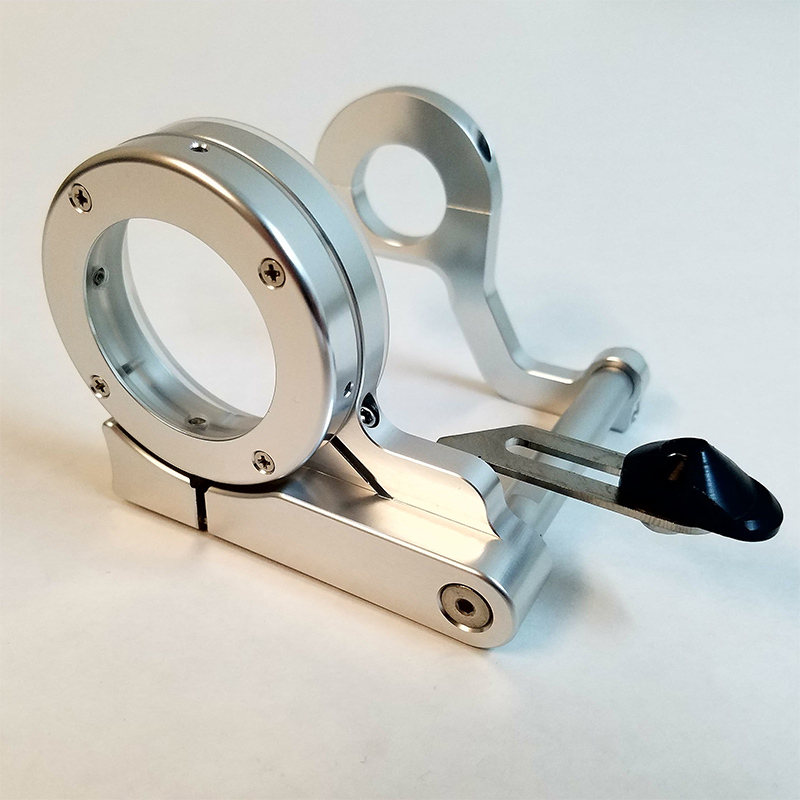 I have ridden for 33 years and logged hundreds of thousands of miles on motorcycles, and this is the only throttle lock system I have ever seen that I would recommend. 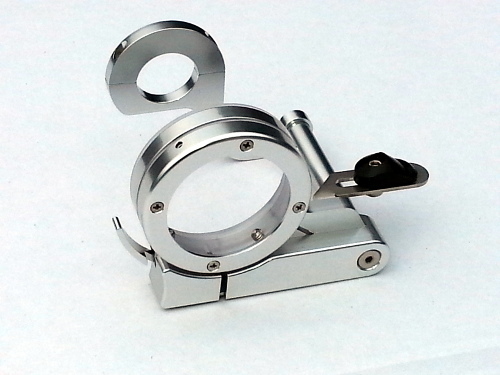 It performs flawlessly and is easy to adjust. I have been on one or two sites that have done reviews on your product and I have left my own review as well. Any new motorcycle I purchase in the future that does not have electronic cruise control will have your product installed. Nicely gone!